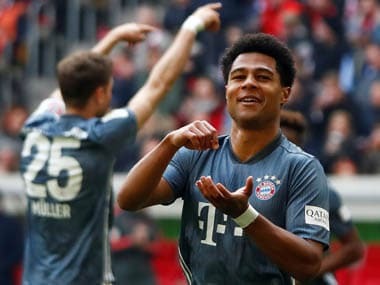 Munich: Champions Bayern Munich dismantled Bundesliga title rivals Borussia Dortmund 5-0 on Saturday, scoring four goals in a flawless first half to reclaim top spot and get back on course for a record-extending seventh straight league crown. 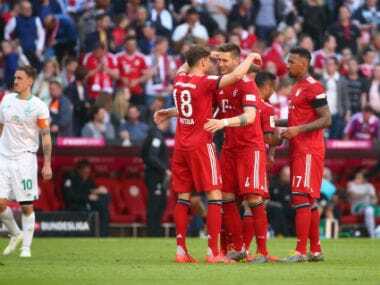 The Bavarians exploded into action and scored twice in the opening 17 minutes through Mats Hummels and Robert Lewandowski, adding two more from Javi Martinez and Serge Gnabry before the interval. The hosts, who drew 1-1 at Freiburg last week, stepped off the gas after the break and controlled the game before Lewandowski scored again in the 89th minute and Bayern moved up to 64 points with six matches remaining, one point clear of Dortmund. “We put them instantly under pressure. 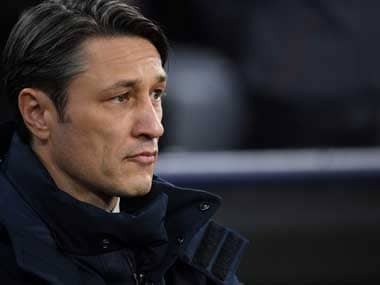 We wanted to attack them early and we overran them,” Bayern coach Niko Kovac said. “It was exactly what we had set out to do. We may have had some slip-ups this season but that happens. The first chance, however, fell to Dortmund with Mo Dahoud hitting the post after a lightning-quick break. But that was the last Dortmund attack for a long time, with a glancing header by Hummels putting the host ahead in the 10th minute and highlighting their aerial superiority. 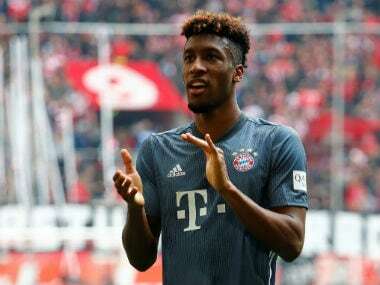 In total Bayern had 22 shots on goal compared to Dortmund’s four and things got worse when Dan-Axel Zagadou’s backpass fell to Lewandowski in the 17th and the Bundesliga’s leading scorer chipped it over keeper Roman Buerki and volleyed in. Poland’s Lewandowski, who has scored 21 in the league this season, was the first player to break the 200-goal milestone since 1987. Buerki had to rescue his team again when Hummels and Lewandowski beat the Dortmund defenders in the air. The keeper denied Thomas Mueller from close range in the 41st minute but could do nothing to stop Martinez’s rebound that put the hosts 3-0 up. Gnabry added another to kill off any hopes of a comeback by Dortmund, who badly missed their injured top scorer Paco Alcacer. Lewandowski notched his 21st goal of the season and 201st in the Bundesliga to put the cherry on top of a big win for Bayern which made them title favourites once more.